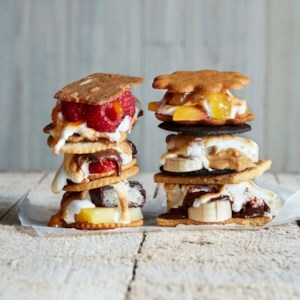 Find healthy, delicious s'more recipes, including s'mores in the oven, from the food and nutrition experts at EatingWell. 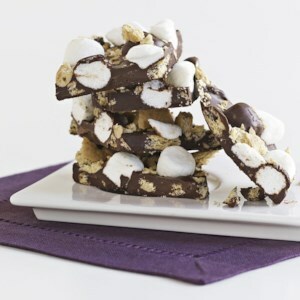 S'mores aren't just a sweet treat for kids at a campfire! We've taken this classic dessert recipe to a whole new level--and a more mature audience--with the unexpected addition of rosemary, orange peel and fresh raspberries. 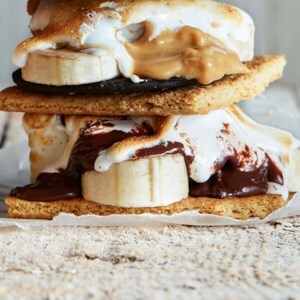 You don't have to be sitting by a campfire to enjoy the taste of s'mores! 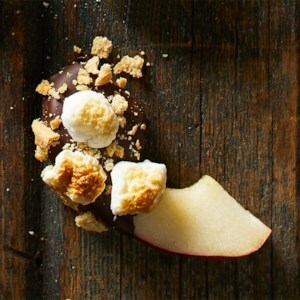 Refreshing apple slices dipped in bittersweet chocolate and sprinkled with crushed graham crackers and miniature marshmallows make a delicious treat. 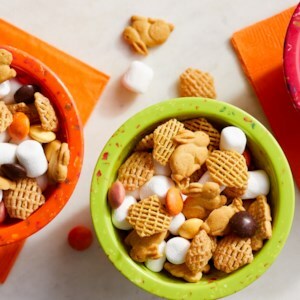 This ode to a campfire classic has all the makings of a sweet s'mores treat in an easy-to-make snack mix kids can tote to school or soccer practice--or just have on hand as an after-school snack. 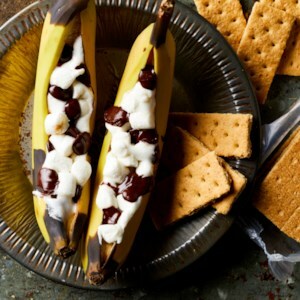 You'll never go camping again without this fun twist on classic s'mores made inside a split banana. 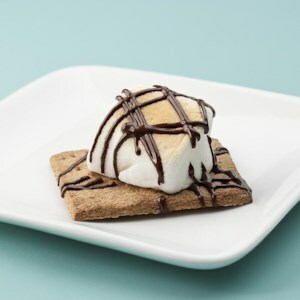 Plus, it's easy to make gluten-free or to cut some carbs--just ditch the graham crackers and scoop this gooey treat up with a spoon instead. 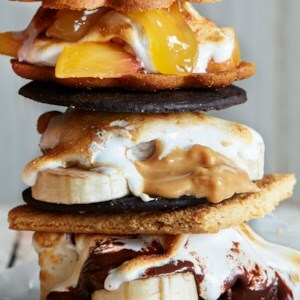 How do we make a classic s'more healthy? By adding fruit! Strawberries and raspberries are also a delicious substitution for the banana. 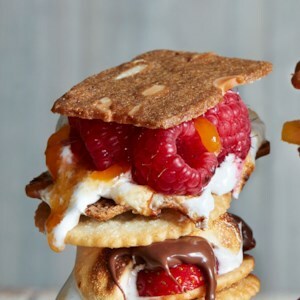 Mix up the classic s'mores recipe by swapping graham crackers for chocolate wafers. We love the flavor of the banana with the chocolate and peanut butter, but apples are delicious too. 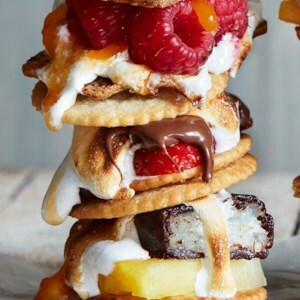 Think outside the graham cracker box! 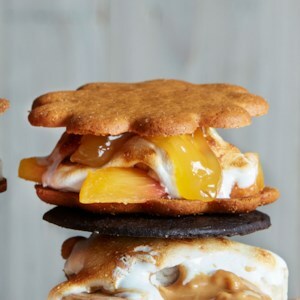 Using ginger thins and lemon curd, top a fresh peach with a gooey, toasty marshmallow and get ready to try the most delicious s'more recipe yet! 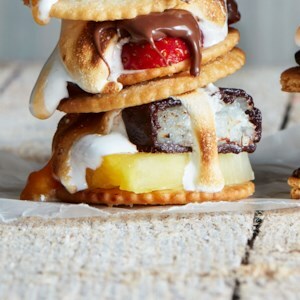 Give classic s'mores some island flair when you add pineapple and chocolate-covered coconut in this easy dessert recipe. Look for coconut thins in the cookie section at your grocery store. Almond or ginger thins work well too. 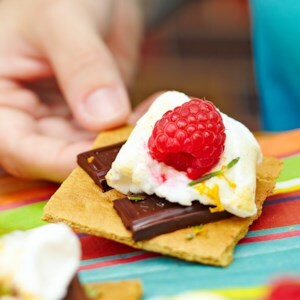 Swap graham crackers for thin almond cookies and add raspberries in this healthy s'more recipe. A touch of apricot jam lends sweetness instead of chocolate. Feel free to try any jam or fruit you have on hand, such as strawberry jam with sliced bananas.